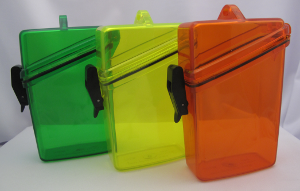 Small Air Tight Case – make your own kit. 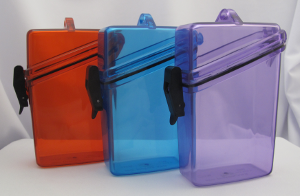 Purchase your favorite case color to store existing items or purchase our individual items to fill it. 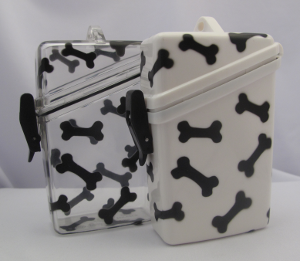 See Sniff & Go page for case size and full description. Twelve colors to choose from. 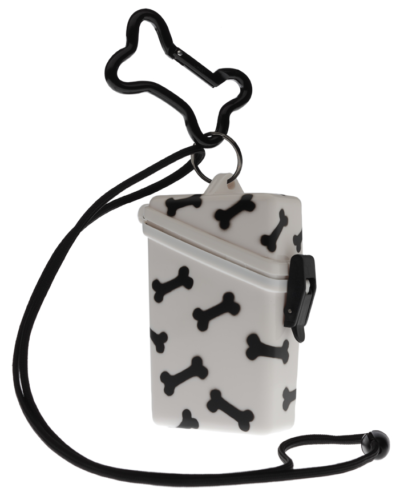 All cases include a bone shaped carabiner and lanyard. Cotton Swabs – Unscented, 50 white 1/2 swabs and 10 black 1/2 swabs in a zip lock bag. 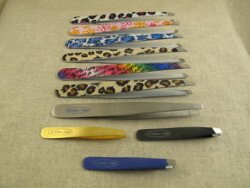 We do the tedious job of cutting the swabs for you. Colored Swabs – Do you like to use a unique color for each scent? These are an excellent choice. They have a paper stem (just like the white ones) with a colored cotton swab. Unscented, package of 25. 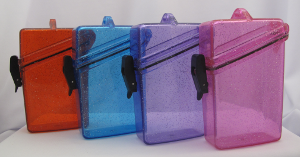 Six colors to choose from. Rare Earth (Neodymium ) Magnets – 1/2″ x 1/16″ Discs – Adhesive Backed. Sold in sets of two magnets. These magnets must be handled with care. They can break if allowed to slam together. It’s best to slide them off the packaging insert one at a time. Always place magnet inside the tin. The self-adhesive backing should keep the magnet permanently attached to the tin but if they become dislodged DO NOT LET DOGS INGEST. Wide Mouth Glass Vials – can be purchased empty, filled with 10 saturated cotton swabs or 10 black or white unscented swabs. Cap color may vary. 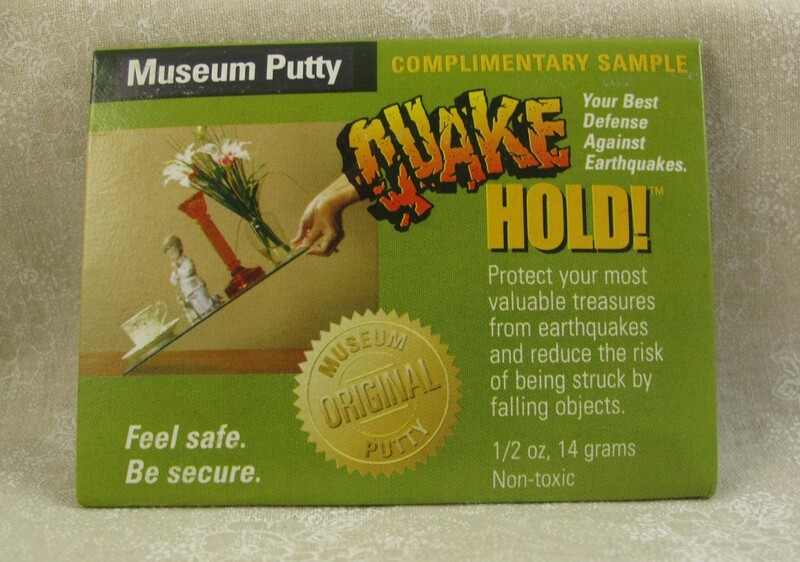 Quake Hold – handy pocket size 1/2 oz. package. This reusable, removable, non-toxic putty can be used to attach scent container to almost any surface. It’s so convenient you won’t want to train without it! Quake Hold : 1/2 oz. 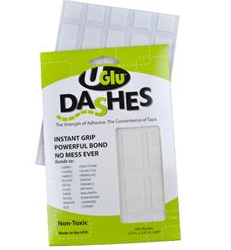 UGlu Dashes – this package contains 4 sheets with a total of 160 precut 1/2″ x 5/8″ rubber based adhesive squares. It’s similar to double sided tape but stronger and more pliable. Not recommended for use on newly painted surfaces or wallpaper. It’s acid free and non-toxic.